This feels both healthy and decadent. Win win! Aside from altering quantities slightly, I didn't change the method. 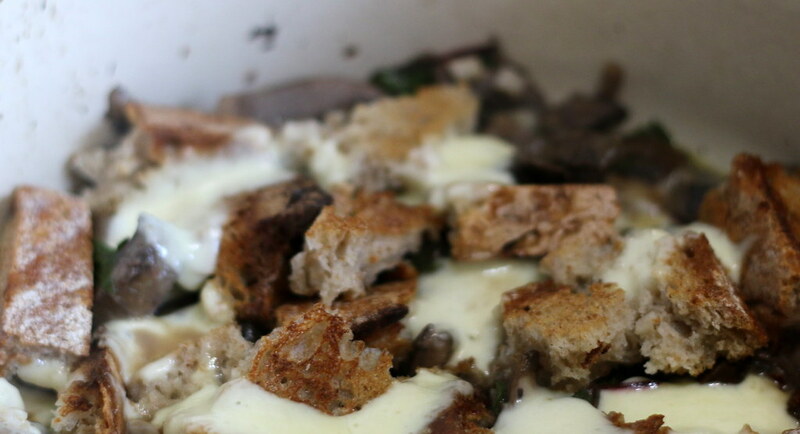 Head over to http://smittenkitchen.com/blog/2015/05/mushrooms-and-greens-with-toast/ for the how to.